A thorough guide exploring how NGINX can help with A/B testing, by routing traffic based either on a hashing algorithm or client characteristics. Amazon accounted for 74% of all US consumer e-commerce on Prime Day 2016 — here’s how their infrastructure scaled up to match the traffic surge. Steve Workman takes us through a 9-month journey of how Yell.com moved to HTTPS. 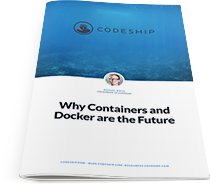 In this eBook we will have a look at the Traditional Stack, the Virtual Machine Stack and the Container Stack. How does deploying microservices affect your dev and ops teams, team leads, and your organization as a whole? Daniel Bryant explains. A complete walkthrough of creating multiple secure (SSL/TLS, Qualys SSL Labs A+) sites within LXD containers using HAProxy and Let’s Encrypt. Big industry news. StackPath believes it has the key (and size) to fighting malicious hackers once and for all. It has acquired MaxCDN, Fireblade, Cloak and Staminus to see out its goals. A look at the problems and solutions around scaling up the management of WebSocket connections. Slate is hiring a senior web developer to help us build the next iteration of slate.com with the rest of our team in Washington, DC. We're putting a new front end and CMS on top of our Django Content API. Come join us. Probably not a huge surprise given its rapid popularity. Teach & inspire learners worldwide. Grow & establish your personal brand. Be an author. Make a difference. A comprehensive guide to setting up your own cluster. SmartNews is a heavily data-driven organization and its use of numerous tools and services is striking. A white hat was able to download Vine’s entire source code by getting hold of its Docker images. Quickly pinpoint what’s broken and why. Get the context and insights to defeat all Software application errors. A commercial tool with a trial.